So… it wasn’t a good idea to be distracted. Not in the District of Columbia. Or in Iowa. In the 19th century, in all of those jurisdictions, to be a distracted person was to invite being locked up. Because it didn’t mean just not paying attention. It was a synonym for insanity. What the law didn’t say, with any degree of clarity, was what it meant to be distracted. We can hope, those of us who are genealogists and suffer from the “oh look there’s a chicken” type of distraction, that our form of affliction wasn’t included. So if you happen to run across a court case in Michigan in the 1840s, or in one of those other states that used this terminology, don’t think the person said to be distracted was texting while driving the buckboard. 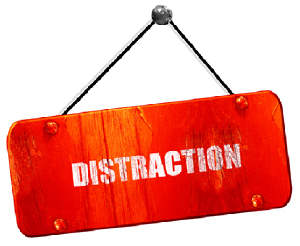 That does make the saying “driven to distraction” mean a whole lot more. That it does, doesn’t it??? Oh, My! Add in texting or otherwise using a handheld device while driving and you add another dimension to distracted driving, walking, eating and attempting to have a family meal. The mind boggles! I seriously cannot adore your work enough. I was just asked by the OK Gen Soc to present on researching ancestors pre-1920 who had a disability or mental health condition. And here you are with helpful information on the VERY day I needed it! Thanks Judy! So glad you found the blog helpful!